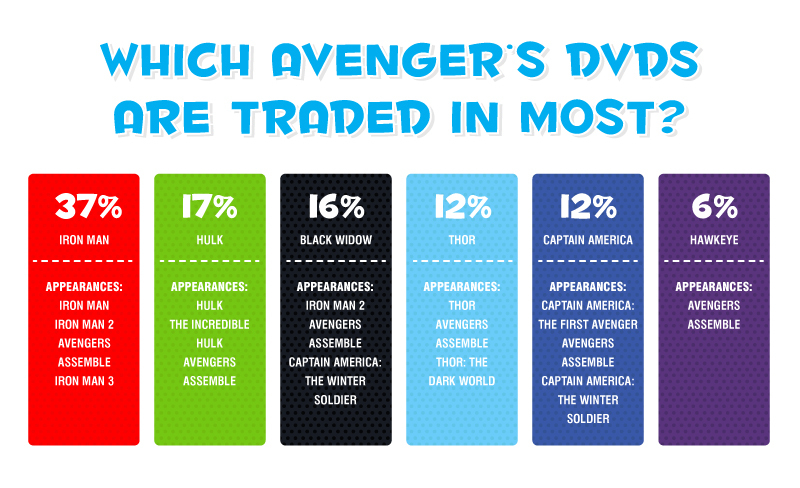 Which Avenger’s DVDs do our customers sell most? Unsurprisingly, Hawkeye is at the bottom of our list as he’s appeared in the fewest Marvel films. Amazingly, the Cap and Thor are tied on 12%. Our customers have sold roughly the same amount of DVDs for both characters, although Captain America: The Winter Soldier just nicks the award for least-traded DVD ahead of Thor: The Dark World. Well, this is a bit surprising considering Black Widow hasn’t appeared in a film of her own. What makes it more remarkable is that of the other films she appeared in, one of them is the least traded. Black Widow’s downfall, it seems, is appearing in Iron Man 2, which is by far the most divisive of the Iron Man series. Even though most people love the jolly green giant, the films he’s appeared in over the years haven’t been that great. 2004’s Hulk ramps up Hulk’s percentage a lot, while 2008’s The Incredible Hulk doesn’t help either. We’ll be honest: given how popular Tony Stark is, we really weren’t expecting him to be as far in front as this. To be fair, he has appeared in more films than the rest of the gang but still! Of the films Stark has appeared in, Iron Man contributed to over half of his total percentage. 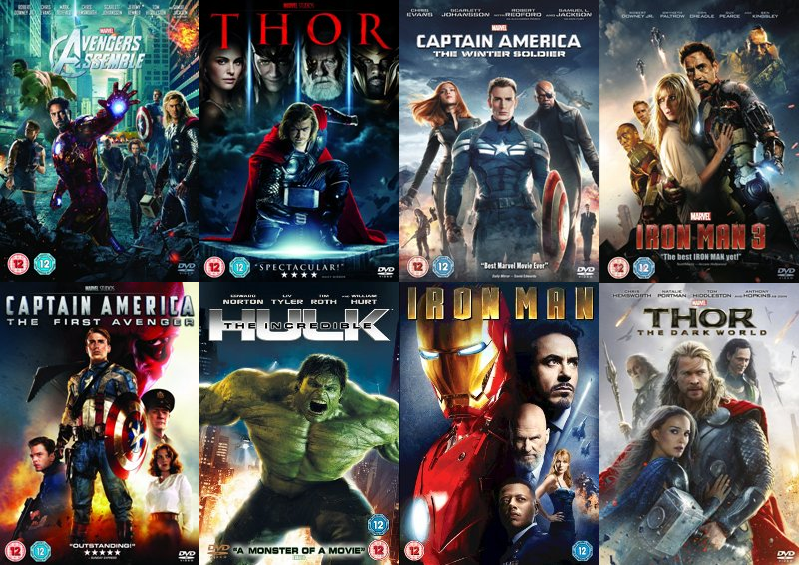 If you’ve got any Marvel films cluttering up your home, why not sell DVDs with musicMagpie? Just click the button below to get started!